Hello there fellow non-hip hippies! Today I want to share with you a discovery we made recently at the health food store. 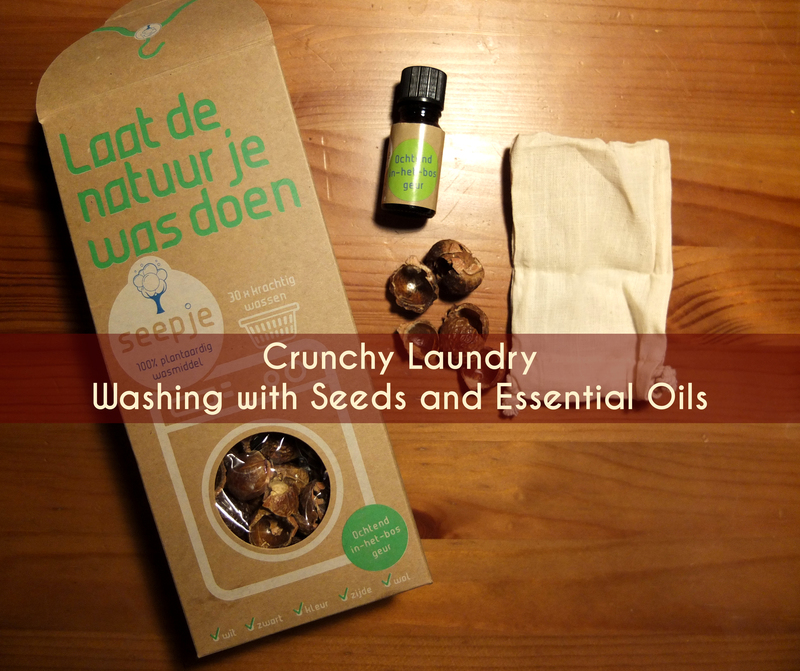 Laundry Seeds! They are known as soap nuts and their official name is Sapindus mukorossi. We have seen them before, but didn’t dare to try them, as they are rather expensive and we thought it would be a waste of money. 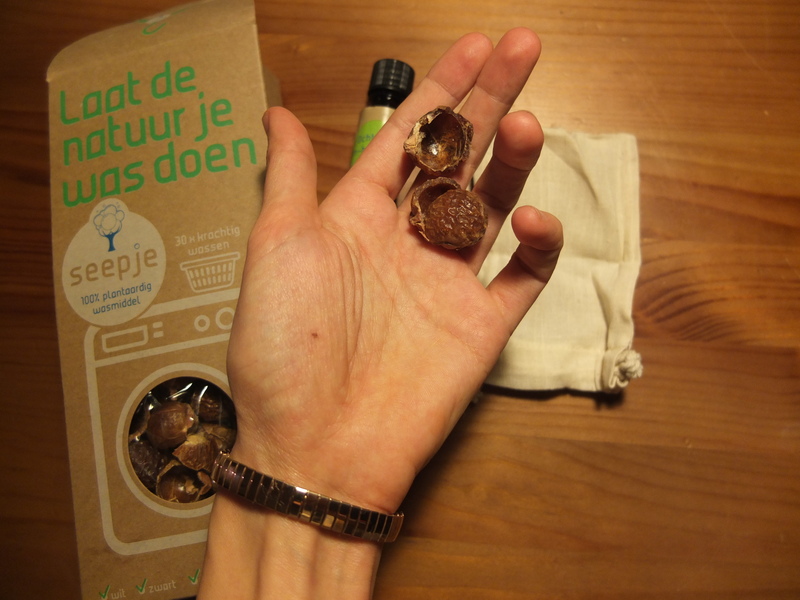 However, we finally caved and bought soap nuts of the “seepje” brand. As usual, unfortunately Seepje has not paid me to write good words about them (or any words), but I will anyway, ’cause I was so impressed with the result. Soap nuts have a high saponin content, which is a natural detergent. You put 8 half or 4 whole nuts in your laundry machine in a little cotton bag. You can also add a few drops of essential oils of your choice in the softener compartment of your laundry machine. You can wash in any temperature, no matter what the hardness of your water, and you can wash any kind of fabric. You guys, it does! I washed our cloths at 30 degrees and even stinky socks and sweaty shirts came out clean, smelling like a forest in spring, with no stains. Then I wanted to challenge the soap nuts more, so I washed Loulou’s cloth diapers at 60 degrees and they came out like new! They even were whiter than before (I didn’t wash any poop-soiled diapers though). Aren’t they too freaking expensive? Well, where we bought them, they were 9,90 euros and they can be used for 30 washes. That is not much more expensive than the sensitive skin, fragrance-free detergent that we are using (Neutral, in case you are interested). Actually it might even be cheaper. So if you want to avoid/reduce your chemical exposure, they are definitely worth a try. I am pretty sure you can find them cheaper online as well.